Tourism campaigns for Caribbean destinations often have a similar aesthetic—sandy beaches, honeymooning couples, frosty drinks by the pool. But the Belize Tourism Board and its agency, Olson, had enough of that. 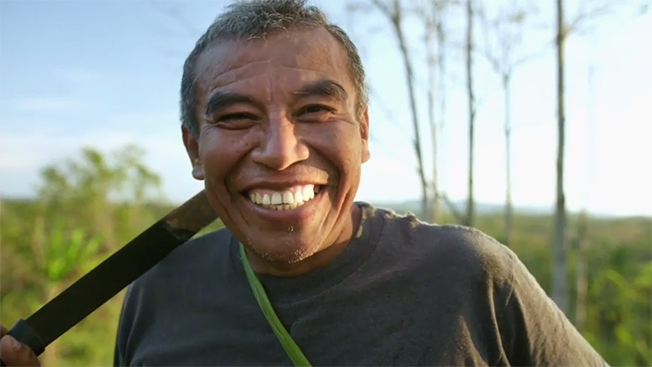 For its latest ad campaigns, the BTB focused on local experiences unique to Belize and making flying to the country easier. Three years ago, Olson started working with the BTB, launching "Discover How to Be," a campaign that showcased the country's culture and experiences you can have there. Olson and the BTB also worked with Southwest Airlines and WestJet Airlines to open up more routes and direct flights to Belize from the U.S. and Canada. The strategy worked—the campaign was responsible for increasing travel to Belize and boosting the country's GDP by 2.24 percent, according to the Central Bank of Belize. "We set rules from the beginning—no honeymooners, no frozen drinks, nobody getting a massage by the pool," said Kevin McKeon, chief creative officer at Olson. "We want to go for someone who's a little more ambitious about what they're looking for in a vacation. The takeaway is you're going to meet some fascinating people and come back with a story you didn't expect to have." Its latest campaign, "A Curious Place," which launched this week, continues that theme. Videos feature a cacao farmer, a meat pie seller and "Coconut Leo," a Belizean who climbs trees upside down and cuts down coconuts. The ads help Belize, which is often overshadowed by other Caribbean destinations, stand out, McKeon added. "Ads for beach destinations all tend to look the same," he said. "You rarely see a native. With the rise of Airbnb, people are looking for more interesting experiences when they travel. We thought, let the big guys fight it out for that honeymooner. We'll take the other person who's looking for something truly unique." The authenticity of the campaign has helped Belize attract more visitors, said Karen Bevans, director of tourism at the Belize Tourism Board. "It tells a story, and it shows the true Belize, and that it's different than any other destination," she said. "The locals are so passionate about their country, and that adds to the campaign because you can see their passion."